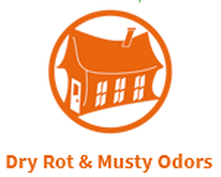 There are a number of components in any given house that could cause a bad smell in your home. Sewage is obviously a big issue because there are many facets to a sewage system – each system is mildly to radically different from the systems surrounding that house due to specific geographic issues. 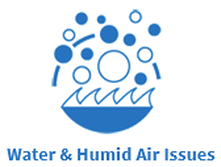 Water heaters can also cause problems with odors and there are other issues with water filtration systems that can lead you to believe the problem is more serious than it actually is. And of course, the possibility of vermin and insects is very high especially in older houses and the advent of those critters can create massive destruction and incomprehensible chain reactions in a household, many of which strongly affect the quality of air in the home. As a homeowner, understanding the basic summary of your sewage system is always a good idea just in case there’s a quick emergency but in the case of the odors it can produce, a plumber will usually be the one to correctly diagnose the myriad of issues that can crop up. When there is a clogged piece of the system, it’s often hard to tell where that issue lies. Sometimes, it can be close to or possibly inside the sewage system in the house. Other times, it could be out in the yard, maybe even 30-40 feet from the house where the outlet cover is located. Pipes can burst, clog, backup into your basement or crawl space (or even your living room if you’re so unlucky) and it’s a major cause for concern because these issues can be very costly to fix as well as the fact that they present a health hazard to your entire household. The good news is that sewage issues are often very easy to diagnose and treat so the lead time between knowing there is a sewage issue and actually getting it fixed is minimal – but the drain on your wallet might not be! This situation is also a cause for many odd smells in the home and what the uneducated home owner might think are big problems (judging by the horrid smells that can come from one’s household water supply) can usually be easily remedied by a trained professional. Commonly, odd smells can waft in from underused bathrooms in the house or possibly sinks in places like the laundry room. This is a case of gas simply accumulating in the pipes due to a lack of moisture in them – by running these systems every couple of weeks, you will prevent such accumulation from occurring and no water treatment will be necessary. Water heaters can also be a source of odors – there are many small pieces of a water heater that all work together to do one very specific job. When any one of these components backfires, it can have a drastic effect on the air quality of the house however, it should be noted that these problems can be easily fixed by someone and usually requires a very quick labor job to replace or tweak one tiny piece of machinery within the heater. 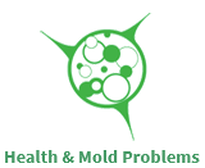 We haven’t even talked about rodent issues or mildew issues in the house but these too can cause lots of problems for any homeowner who is trying to maintain a good quality of breathable air in their home. Learn more about the causes of smell in your home.